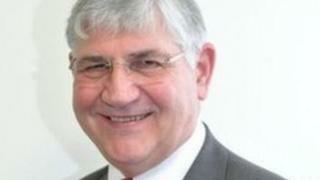 Durham's police and crime commissioner Ron Hogg is offering cannabis users the chance to avoid prosecution in a bid to stop a "cycle of reoffending". Mr Hogg wants to see users of the class B drug in County Durham and Darlington entered onto a course to deal with their habit rather than being arrested. The Checkpoint programme aims to stop reoffending by diverting addicts away from their habit. A spokesman for Addiction UK said it sent a message that "drugs are OK". Those who are caught with cannabis will swap a conviction for a Checkpoint contract where users will work with Durham Constabulary to tackle their drug habit. Mr Hogg said: "Traditionally what would have happened is people would have been arrested for using cannabis, sometimes imprisoned and it just maintained a cycle of reoffending in and out of prison. "We want to try and break that cycle whilst also having a sensible debate around cannabis. "If they fail to engage then we will prosecute." Simon Stephens, director of casework for Addiction UK, said: "Essentially, I'm coming at this from a health perspective - I think that his comments aren't particularly helpful. "It does send a message that drugs are OK - there can be no doubt that there a significant amount of people with mental health problems brought on by cannabis." Mr Hogg said going looking for somebody smoking drugs was not a "key priority" for the force. He said: "If communities complain about people using cannabis, we will deal with that, we will deal with that proactively." He added that he did not see it as a "step towards decriminalisation" of the drug - that was a national debate which he would "abdicate".